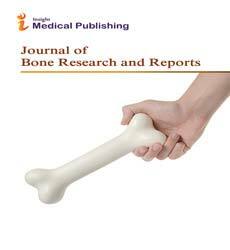 Journal of Bone Reports & Recommendations (JBRR) Volume 2, Issue 1 had published research articles and case reports which are of current interests. This article investigated about the universal classification of long bone defects, which could be the basis for treatment and evaluation of the results. The present study with illustrations described the universal classification, which is helpful in identifying priority treatment methods. Upon considering the Muller-AO fractures classification, the study discussed about the development of bone defect treatment methods . The study that investigates the impact of osteoporosis estimates that 50% of Caucasian women and 20% of men are experiencing and developing osteoporotic fracture in their lifetime. NBHA’s proposed the role of the pharmacists and opportunities for positive clinical outcome for the effective management of osteoporosis. The study has optly identified the lack of data that would establish the demonstrate pharmacist clinical impact; hence he suggested that research should be carried out to determine pharmacist intervention on the clinical diagnosis of osteoporosis and significance of use of the FRAX tool on diagnosis and treatment rates . This research explores evaluation and diagnosis of back pain among young children. Since pre-pubertal children are likely to experience more critical underlying pathology, hence it demands a careful and thorough examination of signs and symptoms . Present article efforts envisage the most recent concepts and evidence on various aspects of hip and knee arthroplasty. Minimally invasive surgery and arthroplasty have helped in expediting the patient rehabilitation and early discharge from hospital . Leonid S and Theodor S. Long Bone Defect Classification: What It Should Be?.Journal of Bone Reports & Recommendations. Megan MM. The Osteoporosis Clinical Care Gap: An Opportunity for Impact by the Clinical Pharmacist.Journal of Bone Reports & Recommendations. Rahul T. Painful Spinal Conditions in Young Children and Adolescents.Journal of Bone Reports & Recommendations. Sudhir KG.Total Hip and Knee Arthroplasty: The Journey So Far.Journal of Bone Reports & Recommendations.